Billy Joe (better known as BJ) Shaddon passed from this life, Thursday, March 14, 2019 in Waldron, Arkansas. BJ was born November 3, 1978 in Fort Smith, Arkansas to Billy Max Shaddon and Janet Faye (Helton) Shaddon. He was 40 years old. BJ enjoyed watching the Razorbacks play, and it didn't matter what sport. He could always be found at a Waldron Bulldog sporting event cheering on one of his boys or a family member. BJ was also active in playing sports, fishing and hunting. He enjoyed life to the fullest but he loved nothing more than spending time with his family and friends and bonding with his kids. 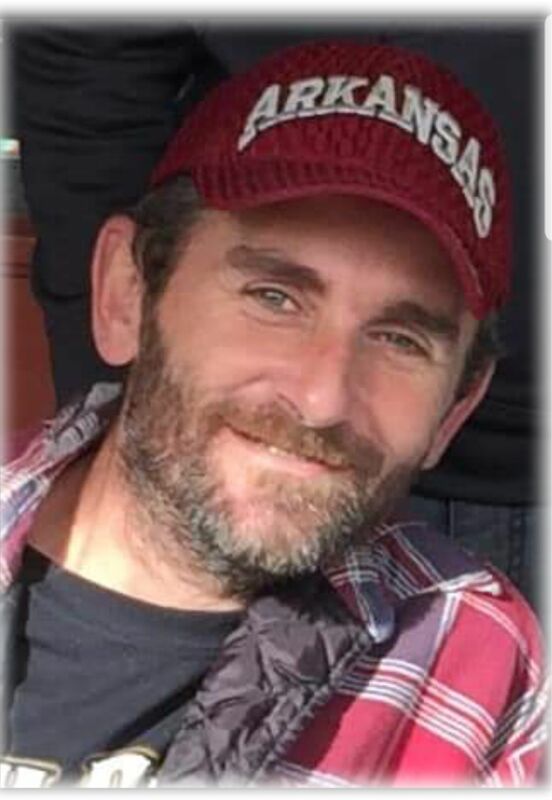 BJ leaves behind to cherish his memory, his children: Matthew Lee Shaddon of San Diego, California, Christopher Tyler Shaddon and Billy Joseph Shaddon both of Waldron, Arkansas, and Avery Jo Shaddon of Ft. Smith, Arkansas. BJ is also survived by his mom Janet Neill (Jason), as well as his siblings: Ricky Shaddon (Ladonna), Timmy Shaddon (Beth), Rhonda Harris (Mark), Bonnie Frederick (Jake), Jessie Painter (Grant), Amanda Neill (Edgar), Jimmy Clyde Neill (Sarah), Erik Jones (Crystal), Lance Jones (Tabitha), Nathan Shaddon and Clayton Shaddon. BJ will be missed by all that knew him and the many whose lives he impacted including a host of nieces, nephews, aunts, uncles, cousins, friends, neighbors and loved ones. BJ was preceded in death by his dad, Billy Max Shaddon, one brother, Jimmy Dale Frederick, maternal grandparents, Joe and Willie Helton and paternal grandmother, Maxine Shaddon. BJ's life celebration will be 10:00 a.m., Saturday, March 23, 2019 at the Heritage Memorial Funeral Home Chapel in Waldron, Arkansas with Rev. Mike Shaddon officiating. Interment will follow in the Chant Cemetery in Y-City, Arkansas. Arrangements are being entrusted to the Heritage Memorial Funeral Home in Waldron, Arkansas. BJ's pallbearers will be Matthew Shaddon, Christopher Shaddon, Billy Shaddon, Ricky Shaddon, Timmy Shaddon and Clayton Shaddon. Honorary pallbearers will be Erik Jones, Lance Jones, Nathan Shaddon, Jimmy Clyde Neill, Mark Harris, Wade Chambers, Jeff Newell, Pat Sanders, Kenny Lynch, Jamie Lynn Helton and Grant Painter. BJ's visitation will be Friday, March 22, 2019 from 5:00 p.m. until 7:00 p.m. at the Heritage Memorial Funeral Home in Waldron, Arkansas.